With President Trump expected to sign a controversial order on religious liberty, Canada is facing a religious freedom controversy of its own. The case: Winston Blackmore is part of a community called "Bountiful," an offshoot of Mormonism that allows polygamy. He has married or had conjugal relations with 24 women, and had 145 children. 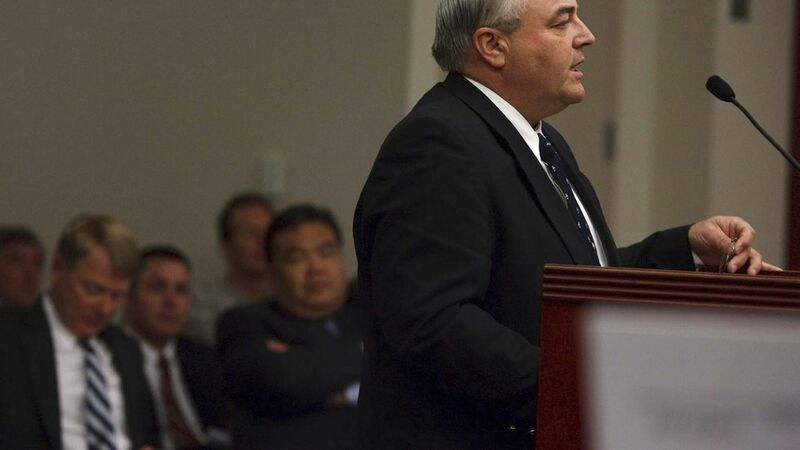 He and his former brother-in-law face up to 5 years in prison on polygamy charges. Their case is before the Supreme Court of British Columbia. The defense: Blackmore's lawyer argues that his religious freedom is being infringed on, and points out that other forms of "non-traditional" marriage are now legal. He notes that if Blackmore had children with different women without a marriage ceremony there wouldn't be a problem. Some facts: 58 countries — most of them majority-Muslim — allow polygamy. The practice is criminalized in all western countries, and outlawed in all 50 states.